I mean, you can work your whole life to be as good as you can be, better than everyone else, the best in the business, top of your game and then, in an instant, a little bad luck takes the game away from you. I’m not sure this description holds for Malcolm Butler, rookie corner back for the Patriots, whose terrific defense denied the ball to Seahawk’s Jermaine Kearse, until luck took a turn and the bobble, twice tipped, once kicked, landed deftly in the hands of the Patriot’s wide receiver. Good is not good enough when luck has the upper hand. But that’s when great steps up. Great is full-bodied. It rises up even in controversy, even in consequence, even in bad luck. It’s the ability to put behind us what went before, so we can focus clearly and certainly on the moment at hand, even if we have been at fault and even if we have been unfairly judged or tested beyond our abilities. Great wipes the slate clean and lives the next moment, even in the face of despairing teammates or finger-pointing critics, even knowing the camera is focused squarely on us. Great focuses on the job to be done and the preparation supplied, undistracted. Butler had this moment, and he executed. A pick on the goal line to seal the Super Bowl. 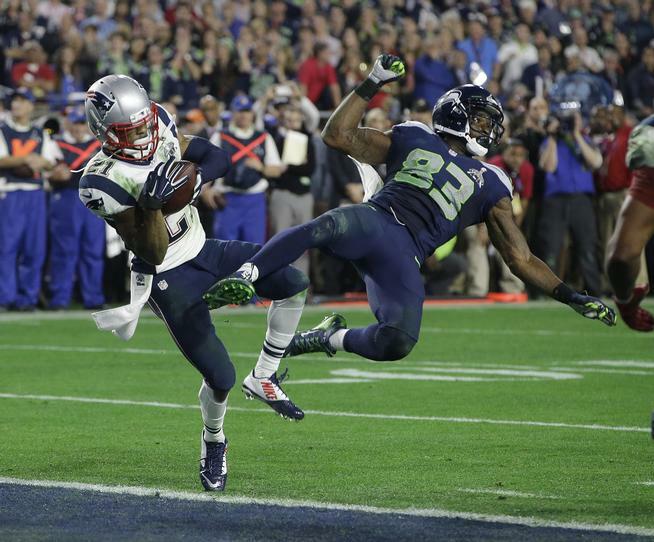 No, the Kearse catch would not be the defining image from Super Bowl XLIX. 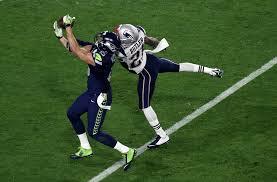 It would not be “the Catch.” That would come on the next play. When the game invited Butler to step up and make the play for the team that had prepared him. Lucky or good? If I have to choose, I’m going with good. Lucky doesn’t last. And it threatens to swipe my confidence and erase my eloquence. I’d rather be good, because you can build on good to make it better and better. That helps me up, even when the other guy is lucky. The Lucky life is slippery and it puts my destiny in someone else’s hands. I’d rather take hold of that myself and for the sake of my teammates. Life, after all, is an individual sport played on a team. I’m in it for the win. Why leave that to chance?